How would you store your tackle? I currently do most of my fishing from shore, or go out in friends' and family's boats so I'm doing a lot of travelling and never keeping my tackle in a boat at all times, whether it be going from boat to boat or walking from pond to pond. 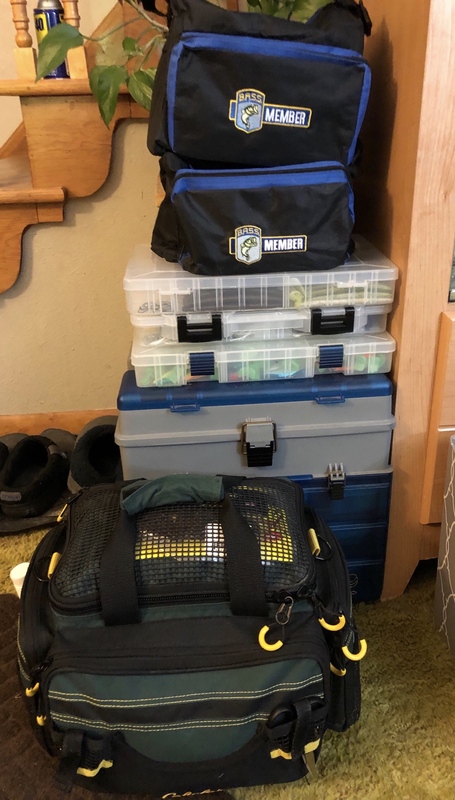 As of now, I've been storing all of my gear in a couple big tackle boxes (for hard baits etc. ), and cardboard boxes (for all my soft plastics). I was hoping to get something that would be more travel-friendly than having to lug around these big tackle boxes. Would a tackle bag work better than these tackle boxes? That way, I can put whatever I want in a handful of trays and be on my way, and it would be easier to carry around on my shoulder than a tackle box. Or what about a tackle backpack? Anyone have any good fishing backpacks out there? Or would a handful of utility boxes work just fine? Preferences on brands for utility boxes? Thank you all in advance! The blue bps backpack holds 10 3600 trays and has several pockets. The bottom half unzips with 4 trays and pockets for a smaller shoulder pack. I think it was $40. Definitely. Up to last year I used a Plano 6-tray tackle box and it was full. This winter I bought a Cabela's Advanced Anglers Tackle Bag in the large size. It'll fit 6-3600 size Plano stowaways in the main compartment and one more in the front pocket. Not only did I fit my entire old tackle box in there, I had plenty of room to purchase more tackle. I've since added a Plano Weekender tackle bag which holds 4-3600 size boxes...all my plastics are in there. Two lightweight bags with shoulder straps and I carry everything I have with some room still to add more tackle. I keep the bulk of my tackle at home in utility trays that are full. I also have several 3600 sized utility trays that are either for specific bodies of water, rod setup, or time of year etc. I take 2–3 of these lighter boxes in a small hiking backpack (20L). I like to travel light and not have too much tackle on me. One thing to keep in mind, is the more tackle you carry, the heavier and more cumbersome it is. For my shore fishing, I usually just carry a single 3600 box full of the basics that I know will get the job done. If I wanted to be a little more extensive for a longer trip on a larger pond, I'd probably just grab any cheap old backpack from Walmart, throw in a 3600 box of hard baits, 6-8 packs of plastics, and a smaller 3500 box for terminal tackle. Then I could use the other side pockets of that backpack to store a ruler, scale, pliers, scissors, basic first aid, spare spool of leader material, and some snacks/water. Not sure if it helps at all, but I use one of the ozark trail bags that holds 3 boxes, and has a few other pockets for a few other items. The bags are pretty affordable. It's handy for banks and you can swap boxes seasonally as needed, a backpack would probably be even more convenient. That Large Bag may be the route I should go! I'm thinking about getting a bag like that, otherwise I am also leaning towards just getting a bunch of utility boxes and then when I go out, just have a "to go" utility box(es) to throw in a backpack and be on my way! My biggest concern is when I go on longer fishing trips and what I'm going to do about carrying all of the utility boxes if I don't get a tackle bag of some sort. Do you ever go on extended trips where you need to take most of your utility trays? If so, what did you find to be the most effective way to transport them? Not really. The closest thing that I do to that would be longer kayak trips. In that scenario I store utitlity trays in my kayak or in a milk crate. 1) Keep your hard tackle and terminal organized by type in 3600 or 3700 series Plano’s ; stored inside or in an area of the garage. Keep your plastics organized in small cardboard boxes or one gallon bags, organized by type. This is basically your library of inventory and it should stay accessible and easy to sift through. 3) Purchase a sling type backpack or Over the shoulder pack which holds the three empty Planos at all times. 9) Next outing, do the same process all over again. This system might seem extraneous or complicated at first but it’s been very effective. It allows me to focus on fishing and makes me decide ahead of time what to bring and what not to bring. This keeps the carrying load low and makes my outing more enjoyable ! Im amazed that even limited to just 3 Planos, ive never experienced a time where I wish I had brought more. It really boils down to bringing a little of everything and basing it on season, conditions and potential fishing situations. This is the style of bag I use although you could use any backpack that can loosely hold Planos! I would recommend looking at soft tackle bags or backpack. I use a Plano weekender 3600 bag and a bass pro backpack depending on the outing. Two Plano thin 3601 boxes for soft plastics and one 3650 box for hard baits. Plus the usual hooks, weights, line, scale, pliers, etc. Whole thing weighs around 8lbs fully loaded. More than you would ever use on a single outing but lots of variety. 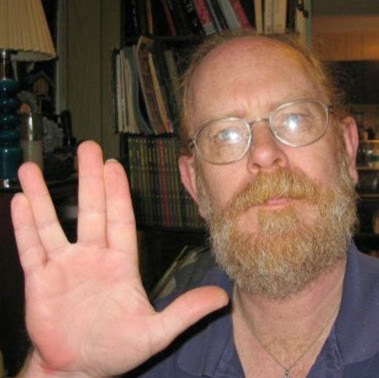 @J.Vincent - Thank you for the very much for the detailed response. I am thinking that is going to be my best bet, is to have a "tackle library" (love the name!) I may look into getting a tackle bag big enough to store most of my library of Plano's for when I go on trips for weeks so I can do the same thing at the cabin or even just bring the tackle bag on the boat since there's always plenty of room. Which will also help them be protected from the elements (the boat has a lot of room, just not any available compartments). I have more difficulty packing the right amount of tackle for a day of bank fishing, or kayak fishing than I do actually fishing. It has really taken me alot of discipline to cut back on all the tackle I have, and only bring a small Tackle Bag with 3 3600 size boxes, 1 for terminal tackle, 1 for hardbaits, one for jigs and spinnerbaits etc..
Less is better. If you stick to one bag, one back pack, you will have plenty and not need anything else in my opinion. Having a system helps, I need to get better at being organized, especially with terminal tackle. I think terminal tackle and soft baits are what you use from shore 90% of the time since you are often casting shorelines and trebles just cause too many expensive lures to get lost in trees. Sounds like a good plan, and definitely it's a process of finding what works for you ! Good luck and enjoy the process ! $10 at Walmart. Top drawer supply of hooks weights line and tools. Middle draw creature baits, bottom drawer worms. Stays in the hallway closet and allows me to stock up on sales but still remain organized. Are Bass Mafia utility boxes worth the money? @J.Vincent - Do you have any waterproof boxes? If so, what do you use them for? Trying to figure out how many and what brand of utility boxes to go with now! I have the Plano Z-Series tackle bags and backpack. They're 100% waterproof, and durable for shore fishing. They come with Plano boxes too (all-in-one). You can get the waterproof, sealed Plano boxes if you want, but I find these are just fine without them. Everything stays dry. So there's no need to spend any more $$. Bass Mafia offer some solid storage solutions ; but I don’t currently own any. I use Plano 3500, 3600, 3650, 3700, 3750. As far as waterproof, I’ve avoided them and instead use Silica Packets to keep the moisture in check. It’s worked great for two years now, Zero rust so far. Last spring I started using a flea market LL Bean backpack that I found for $3. High quality zippers and materials really make a difference over the cheaper packs. I carry my pliers, braid scissors, Leatherman, and two spools of line in the front pouch. Inside I have a small Plano box with hooks, jig heads, worm weights. I hot glued a magnet to each compartment so that my hooks don't rattle or fall out if the box is open. I have a larger Plano box for hard baits/frogs, and my worms/tubes/etc are all in ziplocs. There's no need to carry more than 10 or so at a time, so I stock up when I get home. The 3 drawer plastic storage was only $10. Dang, I was in Walmart today, but didn't walk down the plastic box aisle. In my unheated fishing shed dust resistant/moisture resistant/ wasp resistant storage is always in demand. If my Walmart has that item, I'm getting a half a dozen of them - maybe more. Have to find a way to get them off the gravel floor. Perhaps a shelf along one wall or mount 1 or 2 to every upright post. Thanks for the idea. The large cabelas tackle bag I carry while I fish. I try not to overload it which is a challenge! Now or we just need a good week of over 50 degrees up here in the north country and we may be good to go! You ever worry about someone breaking into your truck while you are fishing? I'm primarily a shore fisherman too but I do rent some canoes or rowboats as well. Until this year, I was using the 3650-sized Cabela's bag and a few extra 3650 storage boxes I would leave on my porch with overflow baits. This year, I got the bass mafia tackle bag three bass mafia 3700s, a 3700dd, a 3700 Plano spinnerbait storage box and a plano crankbait storage box for deep divers and an open compartment Plano (I can fit two more on top if I choose to, but then I have to take them out to get to the ones below if I do). I would say they are worth it because they are generally waterproof and they withstand being ran over, so it's safe to say I will have them for many years. I then have a waterploof plano box that I often load up for the day to take on a canoe or rowboat, or if I'm fishing somewhere I don't want to bring the full bag with me. Does anyone have an issue with storing utility boxes on their side vs laying them flat? A lot of these tackle bags will store the utility boxes vertically rather than the utility boxes laying flush with the ground. Anyone have any issues with baits being damaged when storing them vertically?